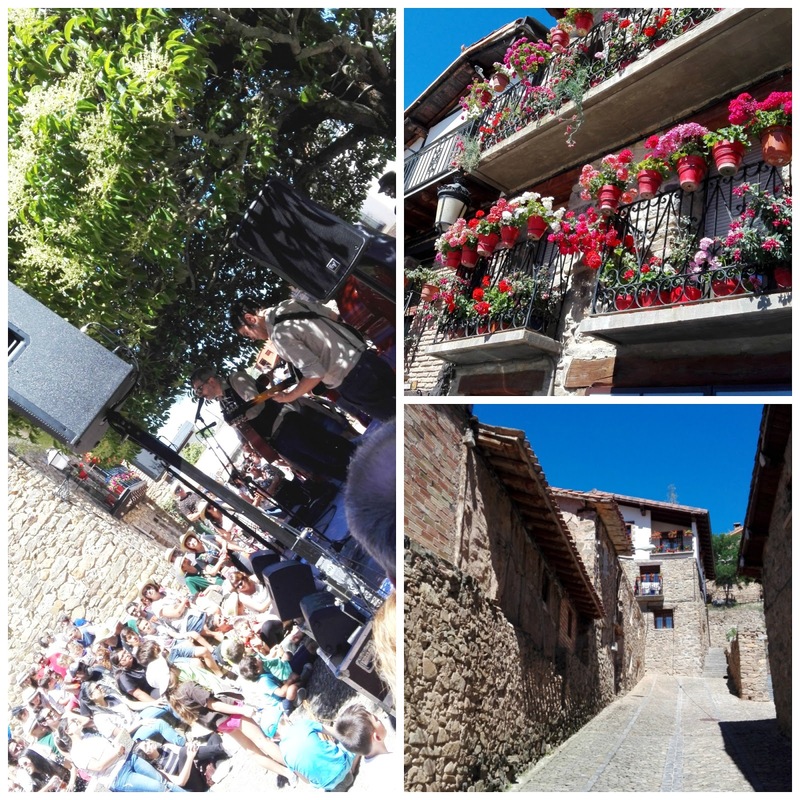 I've been a bad blogger last weeks and didn't take almost any pictures of my activities, which included attending a music festival at a small village in the nearby mountains (a little festival but really fabulous, if you like the music and the quiet atmosphere). Only a few pics, as I was too busy enjoying the music, drinking some beer or looking for a good place to watch a band. I even danced, which was not good for my poor ankle!. 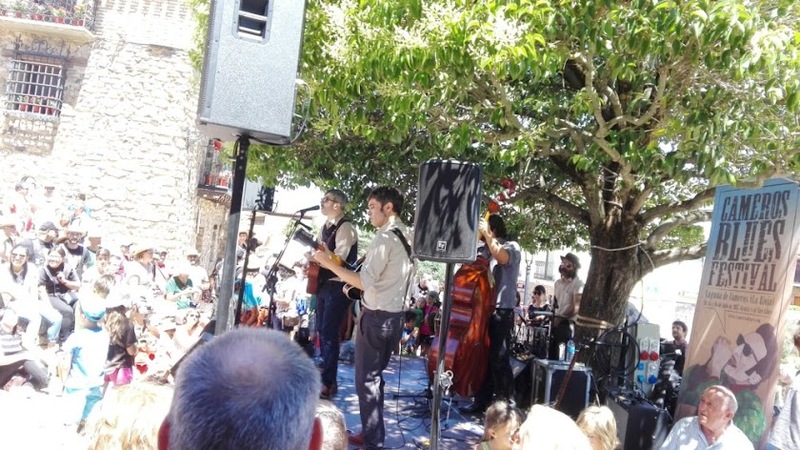 He seguido con mi actitud habitual de mala bloguera, y no saqué casi ninguna foto de mis actividades de las últimas semanas, que incluyeron un festival de música en un pueblecito de la sierra (un festival pequeño pero estupendo si te gusta la música y el ambiente tranquilo). Sólo tengo unas pocos fotos, porque estaba muy entretenida escuchando la música, bebiendo cerveza o buscando sitio para ver las bandas. Incluso estuve bailando, que es algo que no le hizo mucho bien a mi pobre tobillo. Still on the subject of the mínimum effort, I've worn a lot of tunics and capri/clamdiggers pants. Even if this is not the most flattering length for a pair of pants, I like them. Comfort first!. I've tried to keep myself cool by wearing lightweight fabrics (minimum layering) and letting my accessories shine. It's time to wear some arm candy! Continuando con el tema del mínimo esfuerzo, lo que me he puesto es básicamente túnicas y pantalones capri/pesqueros. Aunque no sea el largo de pantalón más favorecedor, me gusta. La comodidad es lo primero!. He intentado mantenerme fresquita, con tejidos ligeros (nada de superposiciones) y dejando que los accesorios hagan el trabajo. Es la hora de la bisutería tamaño extra-grande! Enlazo al Lunes Visible Visible Monday y espero que tengáis una semana muy visible! That festival looks lovely, a stunning setting and no mud...unheard of here! I'm glad your ankle allowed you to dance. You always look fantastic, Monica! So bright and beautiful, and I think this length is quite flattering on your long legs! It's good to forget about cameras, gadgets and blogs for a while and just enjoy life! Glad you did it! I love your paper mache bracelet - gorgeous!! Glad you forgot about us and had fun! Your oufits ALWAYS say fun. You always look beautifully coordinated and boldly colourful. I've been a terrible blogger lately and barely posted at all. I've just been enjoying the summer without feeling the need to write about it. You do look wonderfully accessorized as per usual even though you are making a minimum effort. I'd say your minimum effort would be the average person's maximum effort. I find that I try to take a couple of photos before I leave the house or go to the event so that I can really be in the moment when I'm there and not worry about taking photos.